Wintergen is not known to have had a permanent population prior to the year 1000 anno Domini, though the Finnic peoples of Meridia were aware of its existence and visited it sporadically for fishing purposes. It became known to Coscivian civilisation when it was sighted by Keður Valēkas' flagship during the return voyage of his first expedition to Great Kirav. A subsequent Coscivian expedition established a small settlement on the islands. By the 19th century AD (XXXth century CC), most of Wintergen's small population lived in a handful of timber camps harvesting wood, most of which was exported to Burgundie to supply its prolific shipyards. Supplementary economic activities included fishing and subsistence farming, though the island suffered from poor soils and weather and a scarcity of arable land. Though some Coscivian families had lived on Wintergen for generations and spoke a unique (and now extinct) Coscivian dialect, most of the population were transient workers from Meridia and the Far Northeast who lived on the island as fishermen and woodcutters for three or four seasons at most. The 1820s a devastating bark beetle blight that almost eliminated the remaining forests on Burgundie. Desperate for more wood as the demand from timber-producing areas outstripped the local's ability to harvest it, some enterprising NordHallish shipwrights convinced the Burgundian North Levantine Trading Company (BNLTC) in 1823 to occupied the timber camps of Wintergen. In 1836 the Golden Council of Ten decreed the Act of Economic Union, claiming that Wintergen was forevermore an integral part of Burgundie. 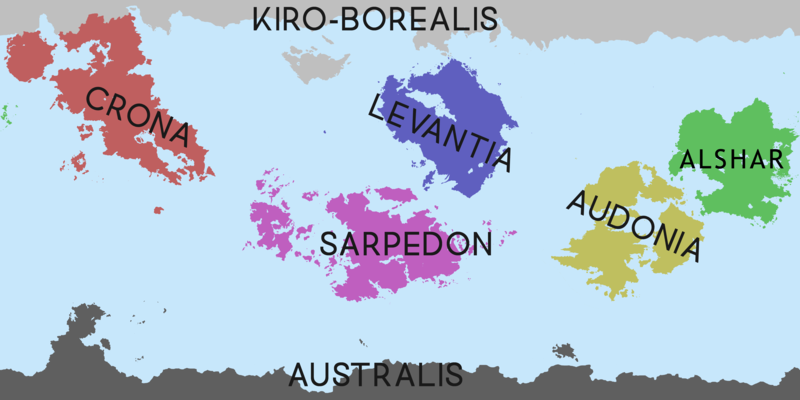 Following the island's capture and formalization into Burgundie, the Kiravian government and population were expelled. However, the conflicts with Burgundie bore on and [for some reason that I will maybe add here if applicable] were ultimately resolved in 1896 without settling the island's legal status. The Flag Controversy and conflicting claims. This page was last edited on 6 October 2018, at 11:28.